Not all behavioral biometrics solutions are created equal. 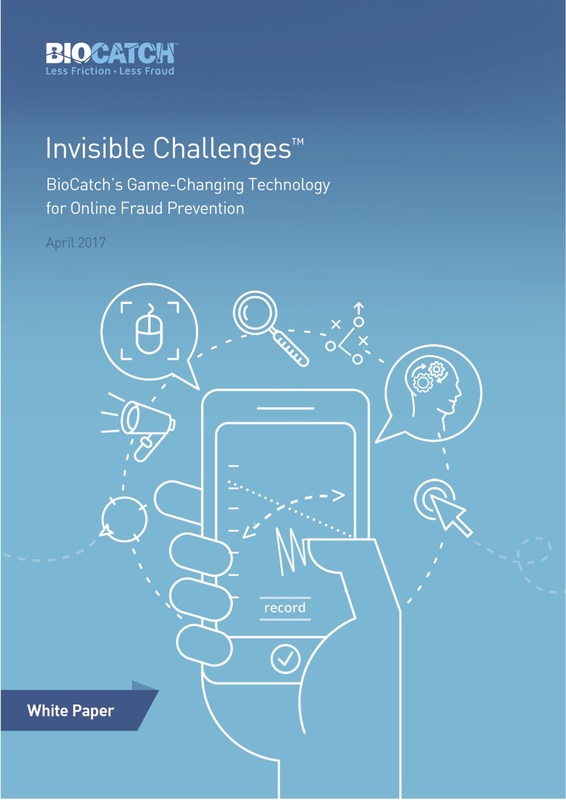 BioCatch’s solution is designed to protect identities online while providing digital and mobile users with a frictionless experience. The platform uses behavioral biometrics to analyze user-device and user-application interactions, passively authenticating users and preventing fraud in real-time. The BioCatch platform is made up of several easy to implement components that enable behavioral data collection from web and mobile browsers and applications. The solution also generates calls allowing organizations to receive BioCatch risk scores in real-time. The front-end Analyst Station provides off-line analysis of user sessions as well as the capability to generate reports, conduct queries, and more. The BioCatch Analyst Station provides a powerful, visual picture of all session activity and their risk scores so case managers can better detect, protect against and act in the face of cyberthreats. BioCatch technology looks past information provided by a user to detect criminal behavior, including the use of stolen or synthetic identities, based on the way data is entered into an online application. Deploying BioCatch’s behavioral biometrics technology is easy, only requiring companies to add a simple piece of code to their mobile app or website. 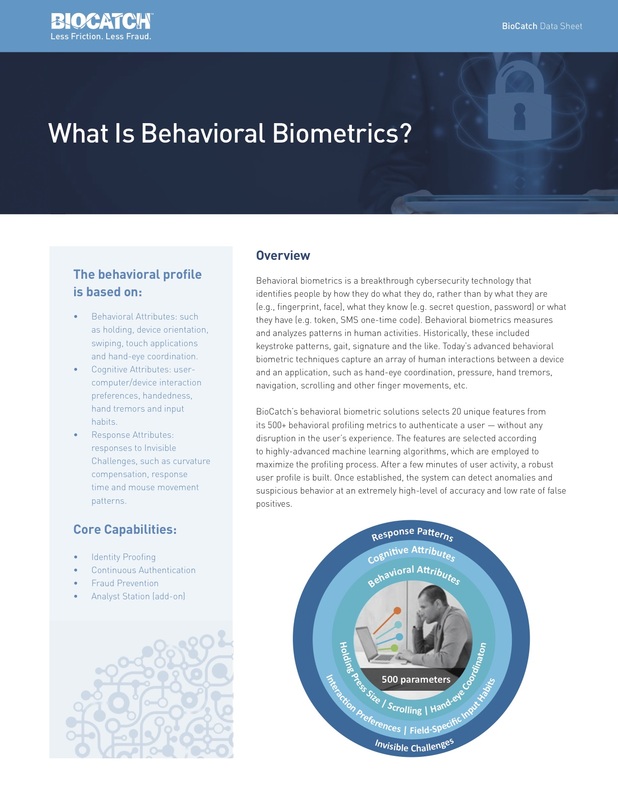 Implementing a behavioral biometrics fraud solution in many cases could save millions of dollars per month, with very high fraud detection performance rates.